Aku dapatkan gambar ini dari http://naruto-gratis.blogspot.com . Lumayan bagus untuk menghiasi desktop komputer kita. Apalagi buat fans berat Neji Hyuga si pengguna jurus Byakugan. dengan keyword Naruto diperoleh hasil Results 1 - 10 of about 101,000,000 for naruto. (0.16 seconds) dan dengan Keyword Sasuke di peroleh Results 1 - 10 of about 13,100,000 for sasuke. (0.17 seconds). Sasuke will be A Demon ? 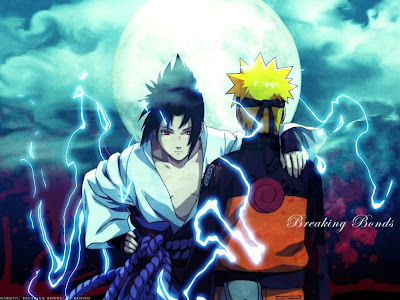 >Suppose what Madara said about Konoha is true, Sasuke will never comes back to Konoha, at least not as friend. Sasuke will not forgive Konoha for being the cause of all the pain and suffering. This means, Sasuke will become a devil himself and he will try to destroy Konoha at any cost. Another prediction, Naruto will have no way of getting Sasuke back. Those two will have to fight in a bitter war. >Sasuke seemed to be skeptical to Madara’s story as it is, so I am not entirely sure he will believe any, or every word Madara says. Though even if he does decide to believe this story, which is likely, his vengeance will be guided towards those that set this mission of genocide in motion. That wouldn’t include Konaha as a general target, more so the ones that I believe took part in assigning the mission – Danzo, Sarutobi and the two belonging to the council. > I don’t think Sasuke will ever become a good guy again and comes back to Konoha. We all know how stubborn Sasuke is. He will stop at nothing just to get his revenge on Itachi. No amount or words and reasons from anybody could make him change his mind. 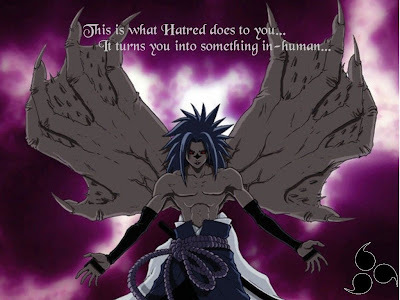 I thought that Madara was a cause of all this and Sasuke will direct his anger times 10 toward Madara, but now it seems that anger will be direct at Konoha. Like someone said, I believe there will be another war. And we all know that Konoha will comes out on top again due to PNJ. 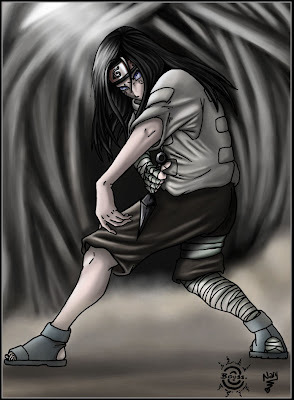 But Sasuke will do more damage to Konoha than Orochimaru did in part 1. One good thing that will come out of this “WAR” is that the new generation (Naruto) will change the way the shinobi world works. The New generation will abolish the old “twisted” rules that the old shinobis hold dear. So it is good but there is no winner.